In 1628 John Vincent was elected as the first Constable. George Allen became the next Constable in 1639. 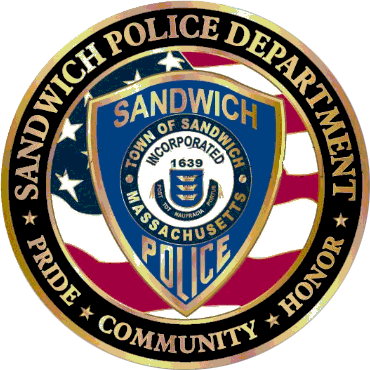 When Sandwich was fully incorporated as a town at the court of June 1639, the first two deputies were John Vincent and Richard Bourne. The two deputies commenced a long course of public service. In 1655 William Bassett was elected a Constable. In 1848 there was an absence of a police force. 1860 the Police Chief lead the Fourth of July parade. 1863 Seth O. Ellis was sworn in as Police Officer on June 11, 1863 and was an officer until March 1, 1864. In 1880 there was a call to the Governor for extra police to help contain the Italian laborers (who were brought in to work on the Cape Cod Canal) who were left without money or housing when the contractor and straw boss disappeared. The town provided food for the Italian laborers and they were shipped back to Italy. In 1915 the town voted to discontinue and remove the old town lockup on River Street. 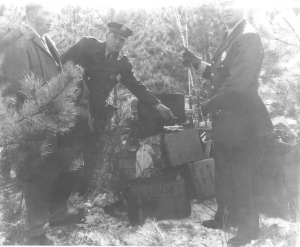 In 1941 Gilbert F. Smith was named the first full-time Police Chief. He earned an annual salary of $3,700. He retired in 1955. The police department was located at his house on Main Street. A police department and cruiser was also authorized this year. 1948 a second Police Officer was added to the police force. 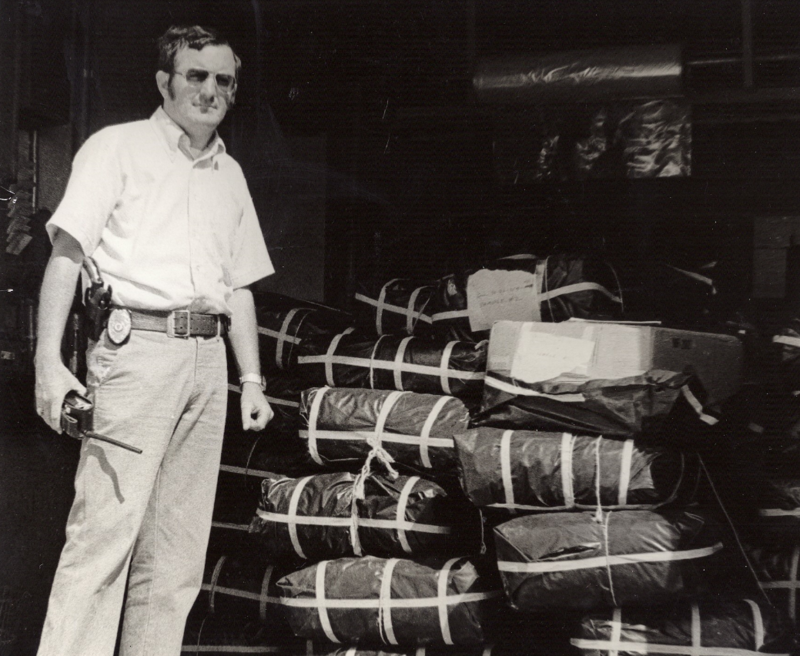 This was Joseph Milliken. He worked until 1949. William A. Winsor was hired to replace Milliken and worked until 1955. In 1949 William E. Foster was hired. He became the Chief of Police in 1955 when Gilbert Smith retired. He earned an annual salary of $3,100 and served until 1967. In 1955 the first Police Department facility was built. The building was actually in the Sandwich Fire Department building. This is where the current Fire Department Headquarters is located. The Police Department used a small space within this building. Dispatchers were hired to handle fire and police calls 24/7. 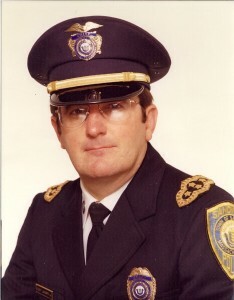 From 1967 to 1970 Arthur Souza served as the Interim Chief of Police. In 1970 Robert Whearty became Chief of Police. 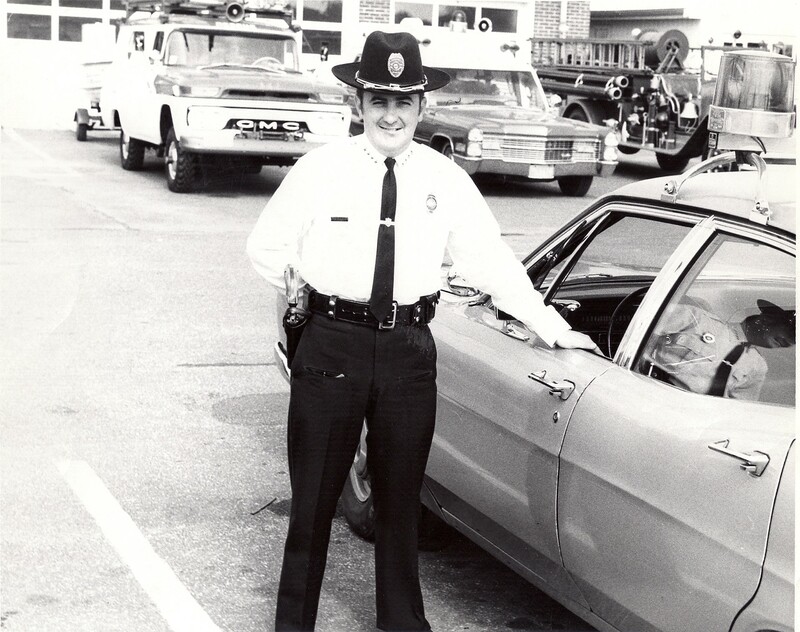 Chief Whearty had previously served with the Wayland Police Department. During his tenure the Police Department grew from 9 to 32 Officers, an Officer was assigned to work in the public schools, a new 800 radio system was installed and an E911 system was installed in the Police Station to answer police, fire and EMS emergencies. The department saw its greatest growth during this time. 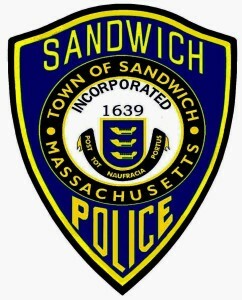 He retired from the Sandwich Police Department in 1997. 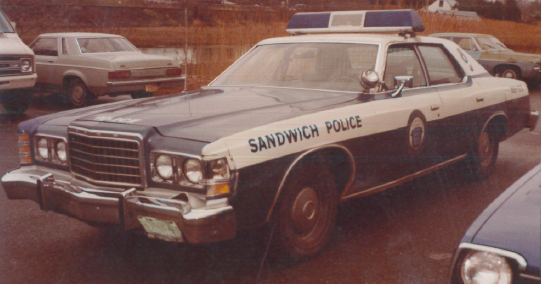 In 1973 the Sandwich Police Station was built next to the Sandwich Fire Station. This building was built for 9 employees. This building still serves as the present day Police Station for 35 full-time employees. From 1997 to 2000 Paul Harrington served as the Interim Chief of Police. In 2000 Michael Miller was appointed Chief of Police. He retired in 2009. In 2010 Robert Palmeroy served as the Interim Chief of Police. 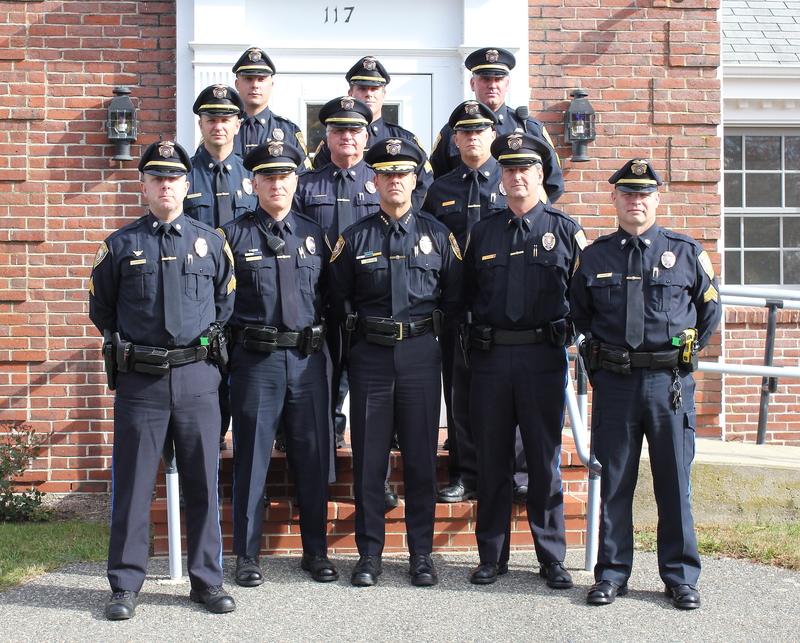 Chief Palmeroy had previously completed a career with the Plymouth Police Department. In 2010 Peter N. Wack was appointed Chief of Police. Chief Wack had previously completed a career with the Connecticut State Police. 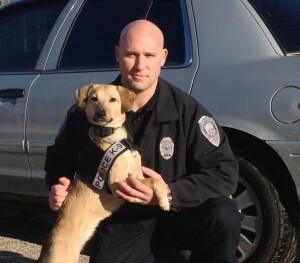 In 2012 the first narcotics canine, Koda, was added to the department. She was assigned to work with Officer Matthew O’Brien. In 2015 a new Community Service Officer position was created. Officer Lauren Gilrein was assigned to this new position. 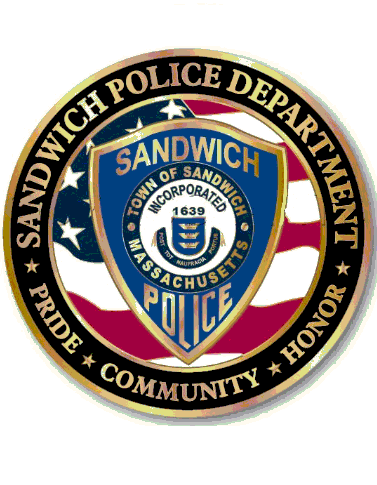 In 2015 a new Detective position was added to the department. Detective Michael Gumbleton was assigned to this new position. In 2016 a new Joint Emergency Telecommunications Center was implemented, civilianizing dispatch operations. The center dispatches and receives all calls for the Sandwich Fire and Police Departments. The center consists of 9 full-time and several part-time Emergency Telecommunicators.